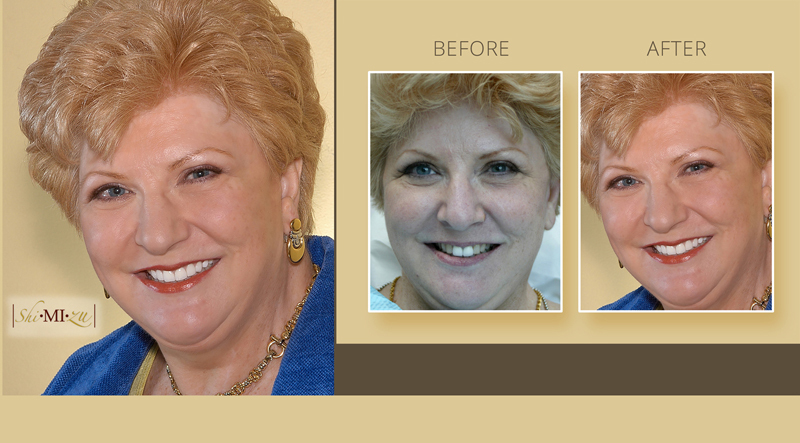 Liza is a friend of one of our patients that just finished her smile makeover. 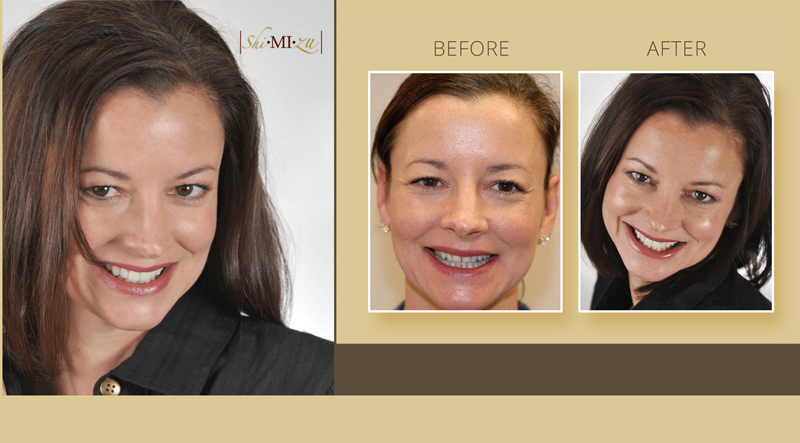 She did not like the worn teeth but she also wanted treatment to be very conservative. 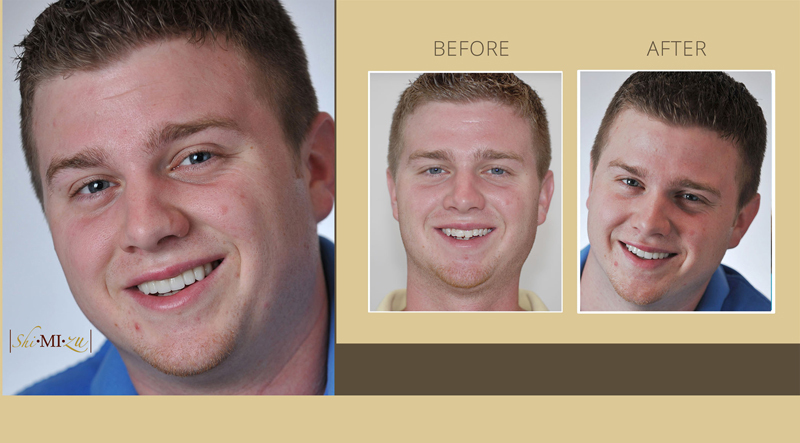 We only did four veneers on the upper front teeth, and others, including canines, were untouched. She loves her new smile with minimum intervention. 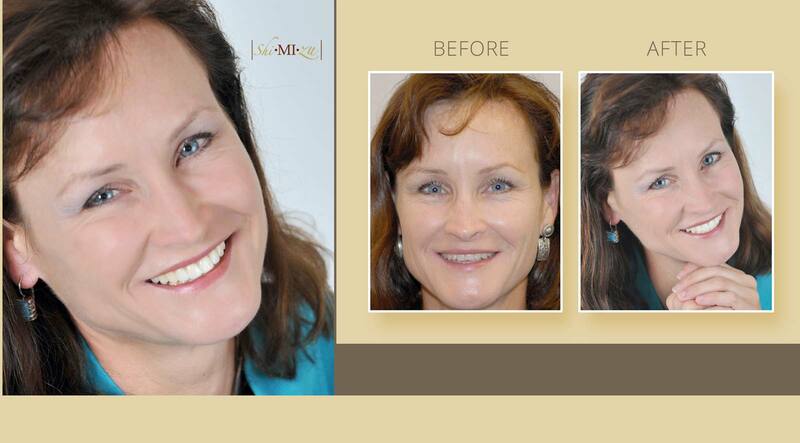 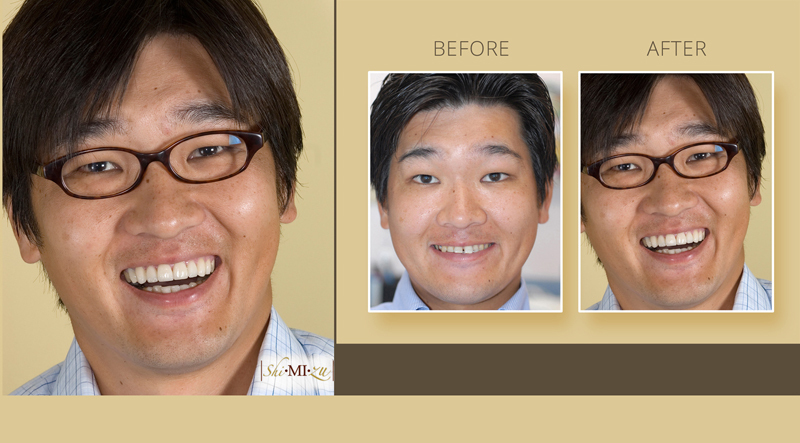 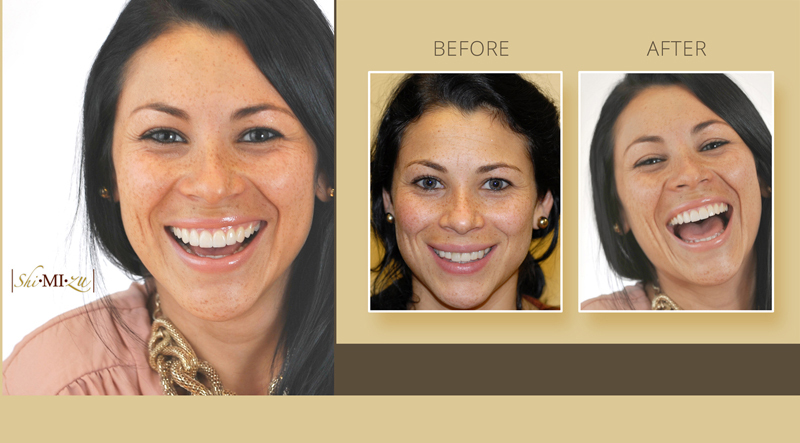 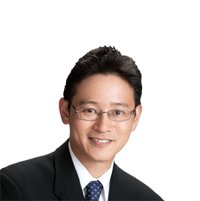 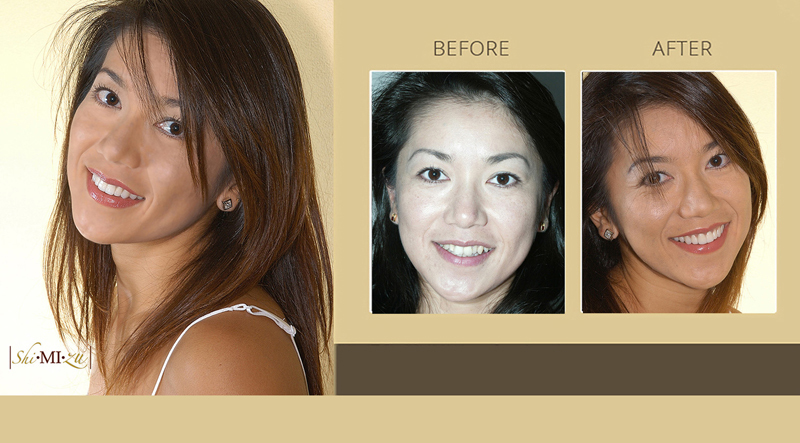 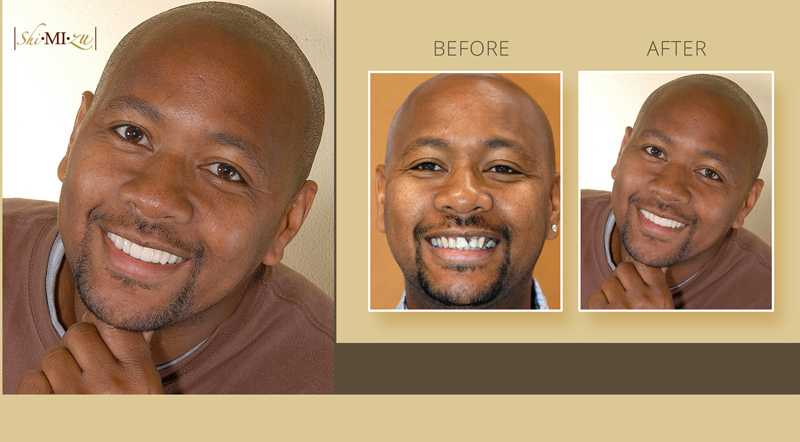 Dr.Shimizu has completed hundreds of smile makeovers. 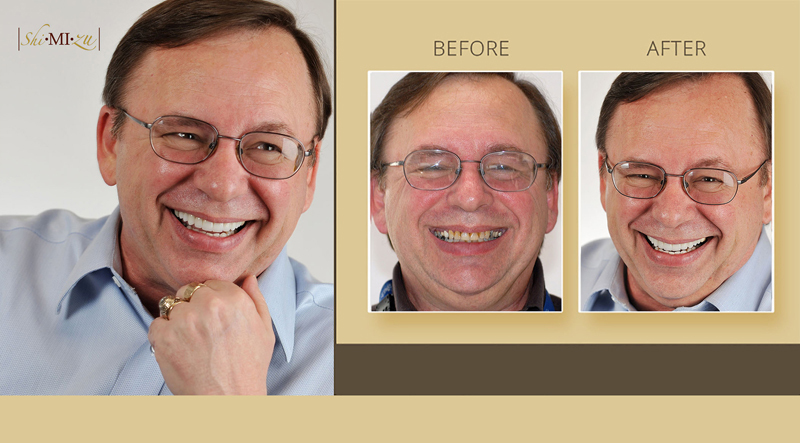 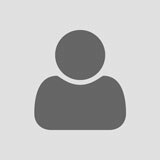 His experience means less hassle for you: He will attach your pocelain veneers correctly the first time, giving your a new smile that will make you look and feel more attractive.